Buying or Selling a Classic Porsche? 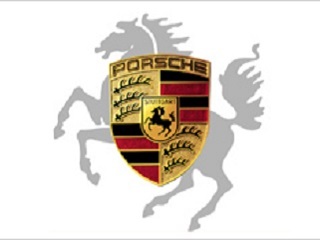 The Porsche brand is known for delivering unparalleled excitement and pure driving pleasure from the original Volkswagen-based Porsche 356 of the 1950’s to today’s uncompromising sports cars like the Porsche 911 Turbo. If you’re in the market to purchase a classic Porsche, the allure of the brand, the curvature of the exceptional Porsche design, and the promise of an uncompromising driving experience have likely drawn you in. Little did Ferdinand and Ferry Porsche know that the Porsche 356 family of sports cars, developed in 1949, would launch the Porsche brand into a true icon in the sports car market for generations to come. Looking to Purchase a Classic Porsche? View Our Current Cars! The Porsche 356 Pre-A, launched in 1949, would be the first Volkswagen-based Porsche to grace the market. Its clean and simple design, raw sports car driving experience, and affordable price tag would launch the car into greatness. Several models would be produced over its fifteen-year production run, including the Porsche 356A (1956-1959), the Porsche 356B (1960-1963), and the Porsche 356C (1964-1965). With each release, Porsche would streamline their design a bit more and would increase engine size and power, eventually ending up with a 1,582cc engine capable of 88 to 170hp depending on the tuning. The Porsche 356 is today one of the most sought-after European sports cars in the world. Easily one of the most recognizable names in sports car history, the Porsche 911 would be the illustrious successor to the Porsche 356 and would become the flagship of the Porsche sports car line, even today. Launched in 1963, its distinctive design, rear-engine position, and unbelievable performance would make it one of the most sought-after sports cars of all time. In fact, throughout its lifetime, the 911 has been modified by private teams and Porsche itself for racing and rallying with much success. This racing history has also fueled interest in the 911. The classic Porsche 911’s are considered those from 1963 to 1989. The earliest 911 offered a 128hp, flat-six engine that was air cooled and rear-mounted. The more powerful 911 S would be introduced in 1966, and in 1967, a Targa version would be released. Also in 1967, a 911 T was launched to replace the 912. The next great achievement for the 911 lineup would be in 1972, when the brand released the new and more powerful 2.4L engine. It would not be until 1999 when an all-new body design and water-cooled engines would redefine the Porsche 911. The classic Porsche 912 would run alongside the Porsche 911 from 1965 to 1969 and would be considered Porsche’s entry-level model. It offered great handling and compact performance, delivering 90hp. Initially outselling the 911, the 912 has become a widely collected early Porsche sports car that offers collectors all the beauty and grace of the 911 with a smaller price tag. When you’re ready to explore the classic Porsche models that are best suited for your needs and expectations, The Beverly Hills Car Club stands ready to assist you. They encourage you to browse their website to learn more Buyer’s Tips about each individual model and model-year and encourage you to contact them with any questions you may have. They look forward to hearing from you soon! We Also Buy Classic Porsches In Any Condition, Top Dollar Paid!